An AMC Studios production, “Turn: Washington’s Spies” is executive produced by Craig Silverstein (“Nikita”), who also serves as showrunner, and Barry Josephson (“Bones,” Enchanted) from Josephson Entertainment, and is based on the book Washington’s Spies by Alexander Rose, who served as a consultant for the first season and joined the writing staff for season two. 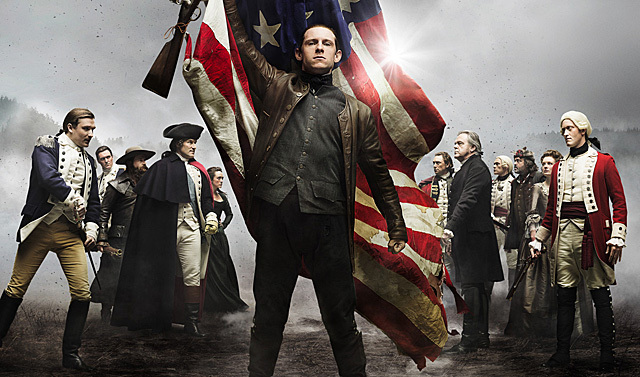 The series stars Jamie Bell as Abraham Woodhull, Ian Kahn as George Washington, Seth Numrich as Ben Tallmadge, Daniel Henshall as Caleb Brewster, Heather Lind as Anna Strong, Kevin R. McNally as Judge Richard Woodhull, Meegan Warner as Mary Woodhull, Burn Gorman as Major Hewlett, Angus Macfadyen as Robert Rogers, JJ Feild as Major John André, Samuel Roukin as Captain John Simcoe, Ksenia Solo as Peggy Shippen and Owain Yeoman as Benedict Arnold. “Turn: Washington’s Spies” is distributed internationally by Entertainment One Television (eOne) through an exclusive multi-year output agreement.